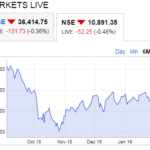 Read to know why Nifty is getting too volatile recently there is always a reason for too much volatility. US election where the unknown and a non-politician won stunning the world. Recent 500 and 1000 denomination notes being demonetized. Uncertainty of the next move from Indian government and US next government. HNIs (high net worth individuals) selling stocks to run their homes as all the unauthorized notes of Rs.500 and Rs.1000 denomination that they owned and never paid taxes on, is now a waste, so the only option to get money is sell stocks to help to run their families. HNIs monthly expenditure goes beyond 1 lakh a month and I am sure they keep at least 30-50 lakhs in cash at home especially the ones who do business dealings in cash only and never pay taxes. These people are also selling stocks to get money to run their businesses too as they need cash for the short term. So is there anything to worry? NO they are limited people who cannot change the overall direction of the markets which is still positive. It is matter or time it will get stable, so there is nothing to worry especially the non-directional traders for whom market direction does not matter. For non-directional traders whether stock markets goes up or down it does not bother them because they know they will still make profits. Results season has arrived. 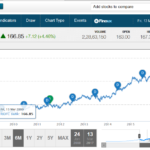 People who love to hold stocks for the long term can look at good stocks and buy them. Since I am NOT a tip provider please do not ask me the names neither I will write here. Today, M&M, BPCL, Tata Steel and many banks would disclose their Q2 results. The most important banks results which are a must watch are SBI and Bank Of Baroda. You will see that most technical analysis will say their results will affect the stock markets. Well I do not care. 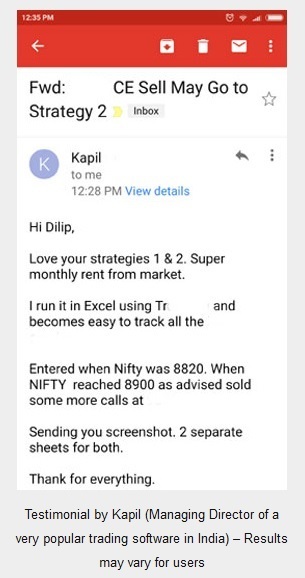 I am an avid watcher of Nifty movement when results season arrives. But I have rarely seen this happening since 2007. After all Nifty is made up of 50 strong companies coming under Nifty 50. One or two companies cannot move Nifty too much. Yes if 10 or more companies results gets affected then there can be a big move. So just keep a watch on SBI results. 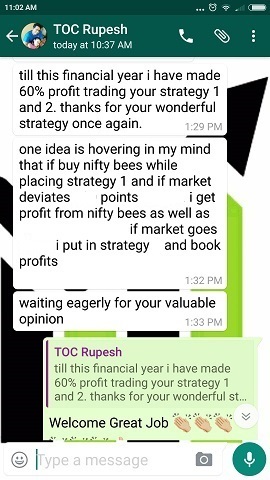 After results season is over Nifty will calm down again. Just to check excessive volatility BSE today revised the circuit limit for share movement of seven companies. The new limits, effective today, will ensure stock prices do not go up or down beyond a level during a session. It has set a circuit limit of 10 percent for Ambition Mica, Welplace Portfolio and Financial Consultancy Services and Hindustan Adhesives. The exchange has also fixed a limit of 5 percent for Trilogic Digital Media, Milkfood, Mewar Hi-Tech Engineering and Eastern Silk Industries. My advice is this. All of the above companies, I did not even knew they exist. Only after reading news I found about them. What I am trying to say is if you trade companies which are unknown to common people please avoid trading in them you may suffer a huge loss someday in some company. 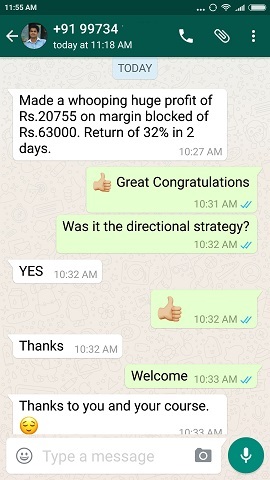 If possible trade in Nifty 50 companies only whether it is Equity, Options or Futures. Now let’s use some common sense. Why only these companies were chosen where derivative trading is also not allowed? Because I am sure a lot of equity trading happens in these companies. I fail to understand why. But that’s not our job. The exchanges knows this better than us, therefore to protect small investors they have taken this measure which I totally support. BSE and NSE primary job is to protect small investors money that is the reason why exchanges are made. They are doing their job well and we must support them. Too much of volatility in the markets currently is due to some short term uncertainties which will vanish soon and stability will come. Result season has arrived. If some great stocks fall long term investors can buy and hold. 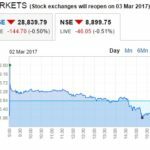 BSE and NSE are doing their job to contain and limit volatility in lots of small stocks. Please avoid trading in unknown small companies else you may suffer a huge loss someday in some company. 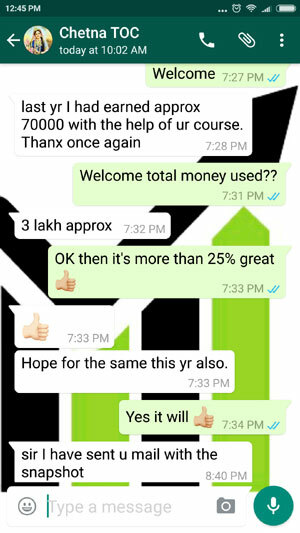 If possible trade in Nifty 50 companies only whether it is Equity, Options or Futures. Indian fundamentals are better than other emerging markets, so there is no need to panic. In the long term everything will become fine. The State Bank of India has become the sixth most valuable firm in the country after it beat market valuations of IT giant Infosys and mortgage lender HDFC. This is a report from Mint. SBI’s market value touched Rs 2.19 trillion on Thursday after it saw a sharp rise of 8 percent bringing the stock’s value to a 15-month high of Rs 281 per share. The stock has gained 26 percent this year. Can you see if you buy good stocks with long term in mind you will surly make money in long term. If you buy small stocks to make money fast or double or money in one or two days you actually ending up with half the money you invested. Please it is a request – trade only is STRONG and WELL known companies with great ECONOMY MOAT.